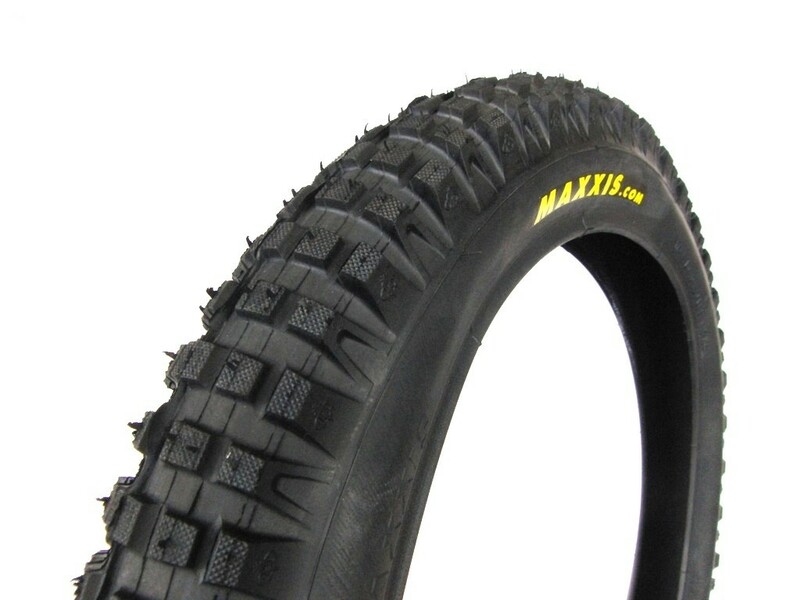 Maxxis rear tyre designed specifically for trials use. 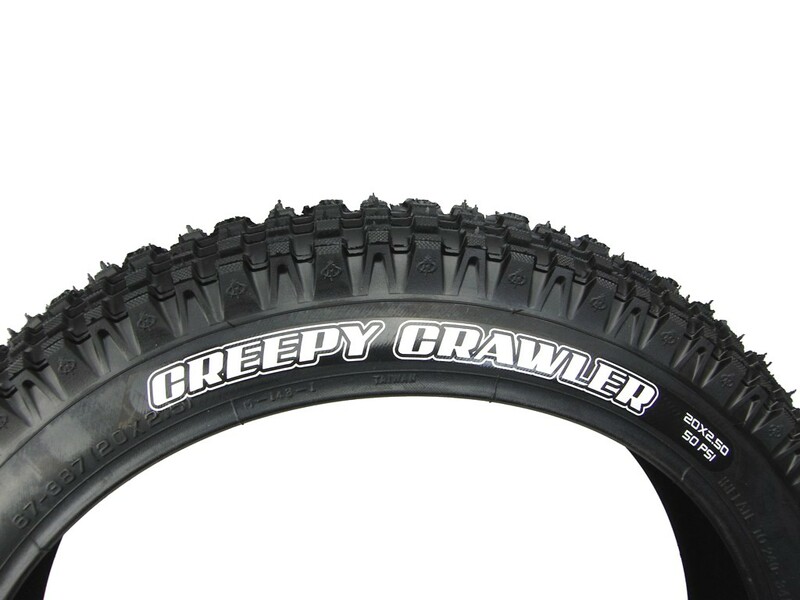 2.5” wide and made to fit 19” diameter rear rims. Features the traditional style ‘block’ tread pattern. 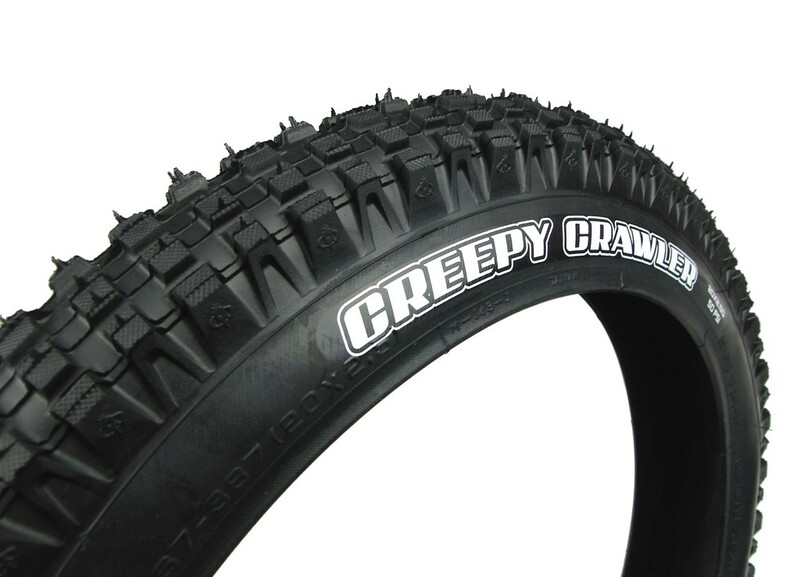 Soft 42a rubber compound provides excellent grip in all manner of situations. 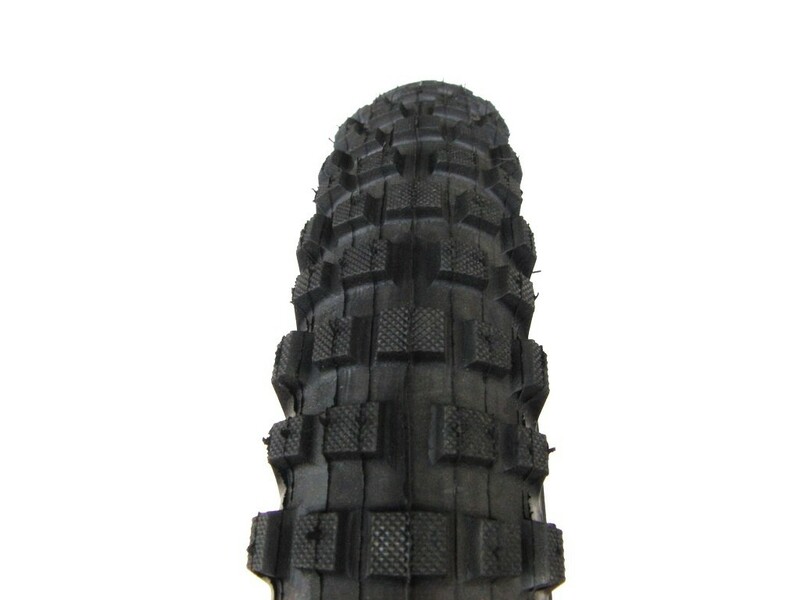 25 TPI casing offers a ‘damped’ feel to the tyre and excellent puncture resistance.